Reminder: This Sunday at noon, a discussion with Tim, from Massengill frames. Topics will range from framebuilding, design, materials, as well as the path these guys took to learn the craft of framebuilding. The lecture will be held at noon on Sunday, February 21st, at the autoshop class beside Adamson High School (201 E 9th St, Dallas, TX 75203). The shop teacher, Kenny Cotten, also work closely with YBS bikes. This is a first part of a potential class series we mentioned developing in December. We’re still fleshing out exactly how that will look, as the logistics and response were greater than we first anticipated. This discussion will introduce several of the area builders, review their methods and how they go about their craft, and help others get started. We also hope to gauge how to best move forward in the direction of a full class series, with the ultimate goal of developing a bike building culture throughout DFW. Damn – got called out of town during this. Hope it had a great turn out. I’m looking forward to the classes continuing. On a side note – since we are talking welding here, there may be something else to consider. 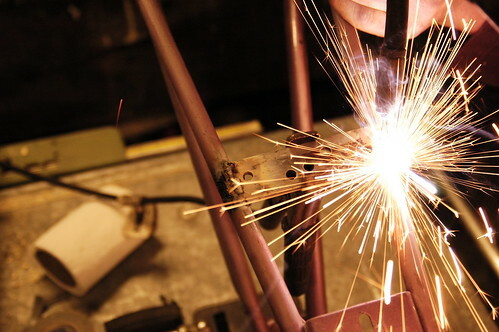 A design could be created for producing bike racks for businesses. What better way to encourage the riding culture. I for one wouldn’t be opposed to paying for some of the materials if I knew a rack would be at my destination. 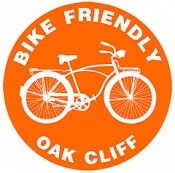 ← From Oak Cliff to New Zealand, Bike Friendly Communities Taking Off!